If you are serious about hydroponic and indoor gardening, High Intensity Discharge (HID) grow lights will be your best choice for lighting your projects. The high light output you need for successful growth, blooming, and fruit and vegetable production is only available with HID lighting. We know that making the right choices in HID grow lights is not simple, so we are always ready to help our customers choose the products that will assure their success. We have carefully chosen the products we offer for their design, durability, and flexibility. 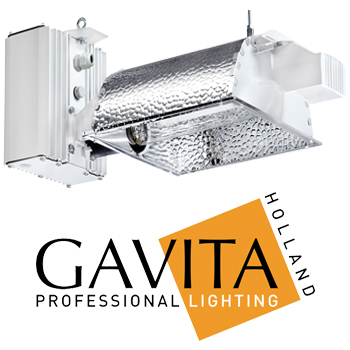 Virtually all of our lighting fixtures, ballasts, and reflectors are compatible with both Metal Halide (MH) and High Pressure Sodium (HPS) bulbs, giving you maximum flexibility in lighting, depending on the growth stage of your garden. 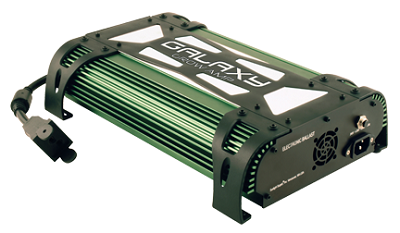 Our ballasts are quickly switched from one bulb type to the other, and most are compatible with both 120V and 240V systems with just a change of the power cord. We offer you the choices you need to match our products perfectly with your plans. You can mix and match components to design your own lighting system. Choose your own ballasts, reflectors, and bulbs to create a perfect combination that exactly meets your requirements. We carry all the accessories you will need to complete your installation. From ducting and in-line blowers to properly cool your growing environment, to timers and mounting rails to customize your installation. ~ Remote Ballasts: If you are designing your own lighting system from scratch, the ballast is the heart of every HID system. We offer remote ballasts from several sources that are available in the exact sizes and configurations you need. ~ Reflectors: Whatever your needs, we have the perfect reflector to match your lighting preference. Call our staff today to discuss what the best solution is for your growing project. ~ HID Bulbs/Lamps: Choose the bulbs you need from our extensive stock. Metal Halide and High Pressure Sodium bulbs are available in all sizes and configurations. With a large inventory of bulbs, you can make bulb replacements whenever needed. ~ Light Rails and Light Movers: Complete systems for mounting and motorized movement of grow lights, these offer maximum flexibility for large grow rooms and allow you to light more area with fewer lights. ~ Lighting Timers: Control your lighting with a complete line of timers and timer boxes. Photo switches and timed switches let you control lighting to create your own seasons. Timer Boxes can control up to 8 - 1000w light systems with just one timer. ~ Fans, Ventilation and Ducting: Control grow room ventilation, remove excess heat from hot HID fixtures, and circulate air in your grow area. Keeping your plants in their comfort zone is crucial for maximum production.